Overlander Adventurers | Go on your personal tour of the Flinders Shire and find out why we love Hughenden! Beyond the adventure lies hidden learning uncovered on every page. 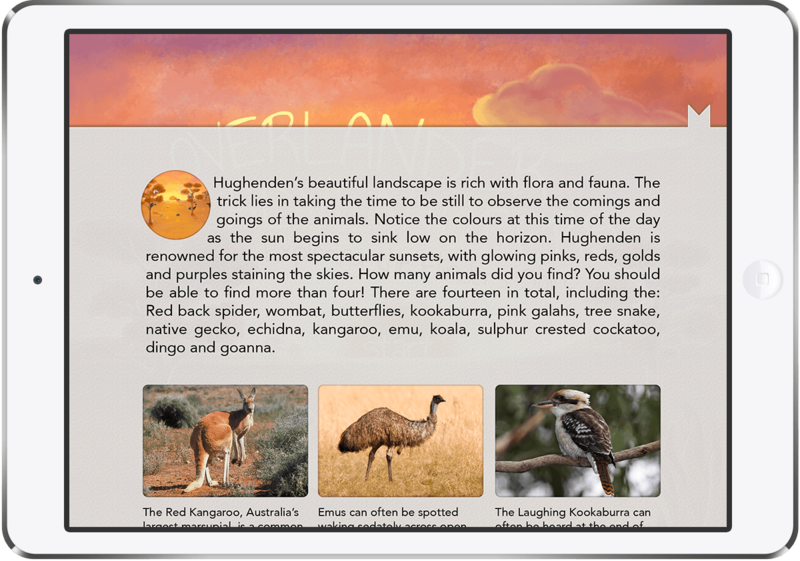 The rich history of one of the most unique regions of the Australian outback, the Flinders Shire, is shared for the first time in interactive storybook app form. Opt for an enlightened learning experience through the Learning Patch or grab a brief synopsis from the Local Information tab found in the bottom right-hand corner of every page. Become apart of the story by touching the screen and bringing the animations to life! 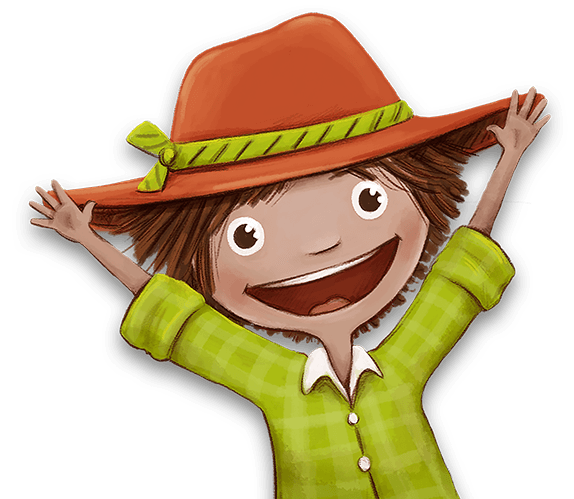 The enchanting illustrations and charismatic narrator take you on a journey bursting with colour, movement and captivating sounds of the Australian bush. The spotlight thrown on the Flinders Shire and the Overlanders Way will get you champing at the bit to begin your own Australian adventure. After your virtual tour of the region you’ll be able to personalise your holiday experience and build your own mind-blowing Outback travel itinerary around the Flinders Shire. “I’ve been a resident of the ‘big small town’ of Hughenden for the last two years. Beyond the friendliness of this magnificent community, I quickly fell in love with the countryside. The sweeping plains, aching blue skies and basalt hills gripped my heart like many a romanticist before me. Being a writer, contained in a bubble of words and solitude, you can feel limited in the degree to which you contribute to ‘community’. I am very aware that smaller places like Hughenden rely on the support of every single person who lives here. In my own way, I wanted to lend a hand. Through story I can share the Flinders Shire with a wider audience, inviting visitors to Hughenden, and more broadly, each town and experience offered by the Overlanders Way. The spirit of the intrepid traveller injects life, funds and renewed connections into the community, particularly at those times that these regions may be held in the sway of the elements”. 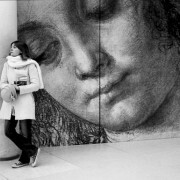 “But idea and intent is not enough. I needed to leverage storytelling of old, into a vernacular understood by today’s kids and families. 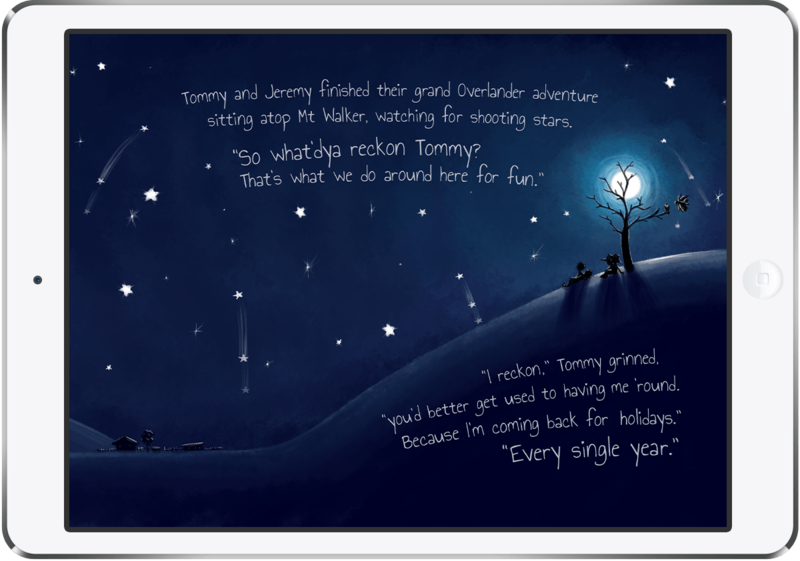 A storybook app seemed like the perfect medium. A forward thinking local committee, the Flinders Shire Regional Arts Development Committee, funded through the Queensland Government, graciously backed my idea. I am forever grateful to them”. 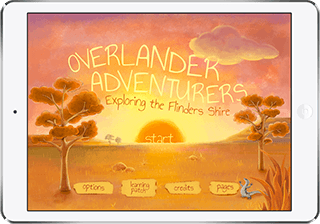 “I humbly offer you The Overlander Adventurers. The adorable characters and their sense of fun is contagious. Through them, I hope you hear the call; the call of the wild, beyond the confines and routine of suburbia, to the great Outback beyond”. Well, what a charming, clever and professional little app this is! I was so taken with the warm personality of the illustrations and interesting, educational background to the story. It’s a difficult balance between an educational and a story telling app, and this one gets it just right. My young son just adores the interactive nature of this app – particularly the falling stars and the animal noises. I myself, had no idea there were wombats that far North in Australia, and I’ve lived in North Queensland most of my life! I wish we had something similar to showcase our own region. Well done, Hughenden, for getting this thing off the ground.